Metrotile’s new Shingle concealed fastening roofing product is an innovative system that offers roof watertightness. With an interlocking Secure Lock (SL) lap system that can be installed direct-to-deck. A large re-roof project for Parnell District School is part of the government’s seismic strengthening project around old school buildings in New Zealand. The following is a summary of nailing pattern requirements on roofs designed to the standard of NZS 3604:2011. This replaces the nailing patterns published in the Rooflink Winter 2016 issue. Based on modular construction, this Smarter Small Home (SSH) designed by the team at Creative Arch was the first of 8 designs to be built by Latitude Homes in Auckland. These designs were the winning entry from the 2011 James Hardie Smarter Small Home competition. Advances in technology over the years have meant that metal roofs have not only become more durable but also lighter. Metal roofs have long been recognised as one of the best ways to keep buildings weather-tight but most people probably don’t realise they are a shining example of waste reduction. 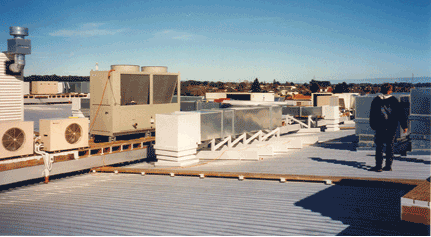 Solar water heating panels and other air con equipment items located on top of the roof cladding effectively create an unwashed area. While in theory the rain can run down the pans the ribs do not get washed. 11/03/09 For years New Zealand Steel has been striving to minimise waste and reduce the environmental impact of its mining and manufacturing operations. A new website has been launched on the sustainability of steel. Read more about Form Follows Function. You only need to look about you for evidence of New Zealand’s long and unbroken love affair with metal roofing. The recent New Zealand documentary, “Are you ready”, brought some sobering reality to the potential effects a Natural disaster could have on our nation. The question was not “if” we have a disaster but more realistically “when” we have one. New Zealand Steel has been working on it for years. Article by Jenny Bain, Rooflink Magazine. Zinc And Storm Water Run-Off. Article supplied courtesy of Jenny Bain, Rooflink. The Auckland Regional Council (ARC) has done an about turn on its earlier claim that zinc-based roofs were responsible for increased levels of zinc in harbour sediments. 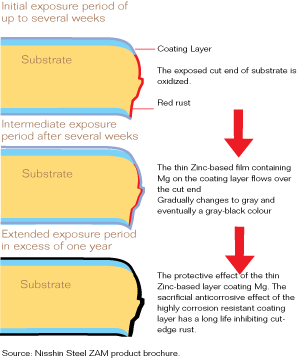 Read more about Zinc And Storm Water Run-Off.